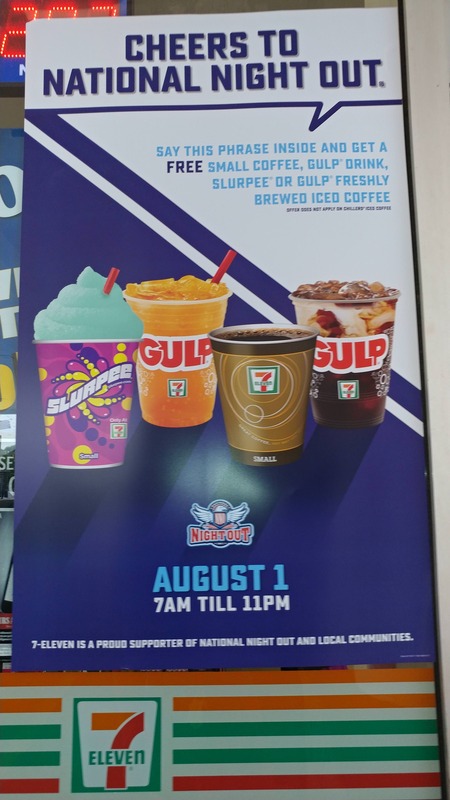 From 7AM to 11PM on August 1st if you head to any 7-Eleven and say “Cheers To National Night Out” you can get a free Coffee, Gulp, Slurpee or Gulp Freshly Brewed Coffee. On August 1st head to any 7-Eleven and say “Cheers To National Night Out” to get your drink! * US Only. Limit one set per household. While supplies last. Originally appeared on Reddit.